What is a construction card? A construction card is a type of debit or credit card that is designed for construction businesses. Employees can use the cards to buy needed supplies or to pay invoices in the same way that they make purchases with other types of credit or debit cards. The construction industry in the U.S. is booming, and it is expected to continue at a healthy pace. The U.S. Census Bureau reports that $1.18 trillion in construction projects were put into place in Jan. 2017, which was a year-over-year increase of 3.1 percent. The total increase from 2016 to 2017 was $35.4 billion in construction projects. While business is brisk for construction businesses, it is important that they protect themselves from losses caused by fraud. According to the 2018 Kroll Annual Global Fraud & Risk Report, 83 percent of construction and infrastructure companies reported that they had suffered at least one fraud incident in the previous 12 months, which was an increase of 13 percent over the 70 percent of construction executives who reported fraud incidents in 2016. Construction businesses should try to mitigate their risks of fraud. One way that they can do so is to switch from cash and check payment systems to credit cards or debit cards. Construction debit cards or credit cards for construction companies can be used to make purchases while preventing employees from having access to the company’s accounts. The right construction prepaid cards can help business owners to prevent their employees from withdrawing money or spending money on items other than what they are supposed to purchase. The construction debit cards like the Bento for Business Visa debit card can be used to make purchases at most businesses. They are Visas and have several safety features that help small business owners to help prevent fraud before it starts while also gaining more control over their business expenses. Construction debit cards are cards that are linked to a construction company’s account. When an employee uses the card to make a purchase, the funds are subtracted from the account instead of adding to the debt held on a revolving line of credit. A credit card, by contrast, is linked to a line of credit. This means that your debt will increase with each payment or purchase that is made. A construction prepaid card is like a debit card, but business owners can prefill the card with the amount of money that they want rather than the card being linked to an account. Savvy construction company owners often search for advice for construction businesses so that they can increase their profits and growth. There are several great trade magazines for the construction industry that can be helpful. Among other pieces of advice for construction businesses, implementing construction CRM software to automate processes and using a business debit card to conduct day-to-day transactions are helpful for managing expenses. Most construction business advice is focused on helping construction businesses to reduce waste and cut costs while they focus on growth, and cashless systems of payment and automation are two beneficial ways to help to achieve these goals. To grow your construction business, you will need to implement several smart and focused strategies. You should start by conducting a thorough and honest assessment of the company. You should then work to bring in additional funds for your business through smart marketing. Some construction businesses run successful social marketing campaigns that help them to generate new leads. As your business grows, it is equally important for you to utilize strong construction expense management strategies to reduce your losses while your profit margins increase. Company debit cards can help to reduce abuse and waste. the company debit cards from Bento for Business feature expense management and spending controls that place you firmly in charge of the spending that occurs. Construction fraud is a prevalent issue in the construction industry. According to the Association of Certified Fraud Examiners, losses due to fraud account for 10 percent of construction costs. Construction fraud can be perpetrated by both external thieves and internal actors. To prevent construction employee fraud and construction theft, it is important for companies to take steps to reduce their risks of falling victim to fraud schemes. Construction employee fraud may be caught early or prevented when companies get rid of reimbursement forms and check payments. Limiting your employees’ access to your company’s accounts and money by using construction prepaid cards can help to prevent construction theft at your business. In a construction fraud case study that was prosecuted by the U.S. Department of Justice, a director of information technology at the Clarkson Construction Company in Missouri was convicted of stealing $442,000 from the company. In this construction fraud example, the man purchased materials with the company’s credit cards that he then resold to make profits. The construction fraud case study is a construction fraud example that demonstrates the importance of a good construction fraud detection program. The man was able to order several hundred thousand dollars’ worth of equipment over a one-year period. With better construction fraud detection, Clarkson Construction Company might have identified the scheme much earlier so that the business could have avoided some of the losses it suffered. In another construction fraud case that was reported in the Indianapolis Business Journal, an office manager of a construction company pleaded guilty to a construction theft scheme and was sentenced to almost five years in prison. The woman’s construction theft involved her diverting $313,000 of her employer’s money to herself, showing the importance of construction fraud prevention. The owners of the company at which she worked had to liquidate their retirement savings and lay off some employees to keep their business open. The woman withdrew money from the company’s accounts and used its credit cards hundreds of times to make payments for herself. The company did not notice the problem until a company check bounced. 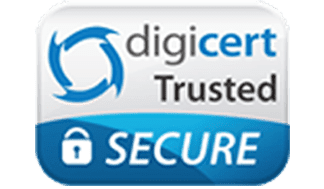 To find the best construction debit card, it is important that you look for one that has features that allow you to manage your expenses and control the spending at your company. A construction debit card is a better choice than a construction prepaid card or a credit card for several reasons. 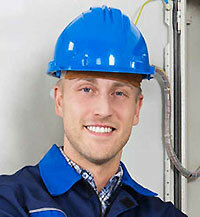 In a construction company, expenses may accrue daily. During construction projects, your workers may have to purchase building supplies. Other construction company expenses may include equipment maintenance and lease fees, fuel for fleets, leases, utilities, and more. A construction expense card may help to manage construction spending. Some construction companies have their employees purchase supplies and then reimburse them later. They might also have long approval processes that can slow down the business’s ability to operate. All the expenses must be tracked, meaning that people must submit records of them and run reports. These manual processes can be eliminated by choosing to use construction expense cards. You can give your employees construction expense cards that are restricted to only being able to purchase the items that they need for their jobs. Bento for Business is a company that is focused on helping companies to manage their expenses and helping with construction fraud prevention. Thousands of customers trust Bento to control their expenses and help prevent fraud and abuse. The company has a perfect score from Capterra and an A+ rating from the Better Business Bureau. 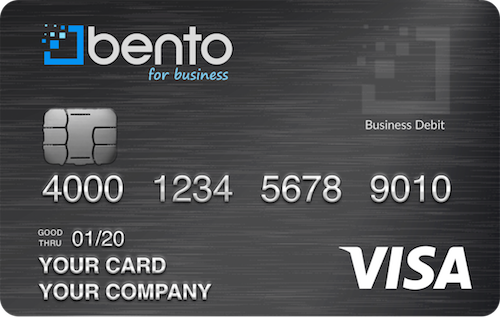 Bento for Business offers debit cards to its customers. You can receive up to 10 cards for a low monthly price of $29, and there is a 60-day free trial. The cards feature spending controls. You can assign daily, weekly or monthly spending limits on each card and restrict the types of purchases that your employees can make. Contact Bento today to learn more about how these cards might work for you by calling 866.220.8455.